Those sardines are for trading, not eating. Mr. Loftus and Mr. Sichel were both making a point about markets and manipulation but it also hits home on the subject of wine recommendations in the form of tasting notes. Some wines are for tasting, not drinking. How can a wine be for tasting rather than for drinking? Isn’t wine supposed to be drunk? Well, yes . . . and that’s where the problem comes in. As wine sales have become more dependent on awards and scores, some producers began producing wines tailored to show best in the tasting situations where those awards and scores are determined. Sometimes that tailoring meant sacrificing some of what made the wine good to drink (as opposed to taste), or some of what made it capable of aging and developing. The first time I ran into this was with wines that were entered into the wine show system in Australia. These wines were judged while still very young and their reputations were made or lost based on the results. A lot of money was at stake, not to mention the reputations of the wineries and the winemakers. So some wineries and winemakers began to manipulate the wine (higher alcohol, less acidity, more sugar, more oak . . .) in order to make it flashier so as to get and command a wine judge’s attention in the brief encounter (maybe 30 to 120 seconds) of a competition tasting. To insure success, these had to be “HEY, LOOK AT ME!” wines. The words “Show Reserve” sometimes even made it onto labels to describe this style of wine. 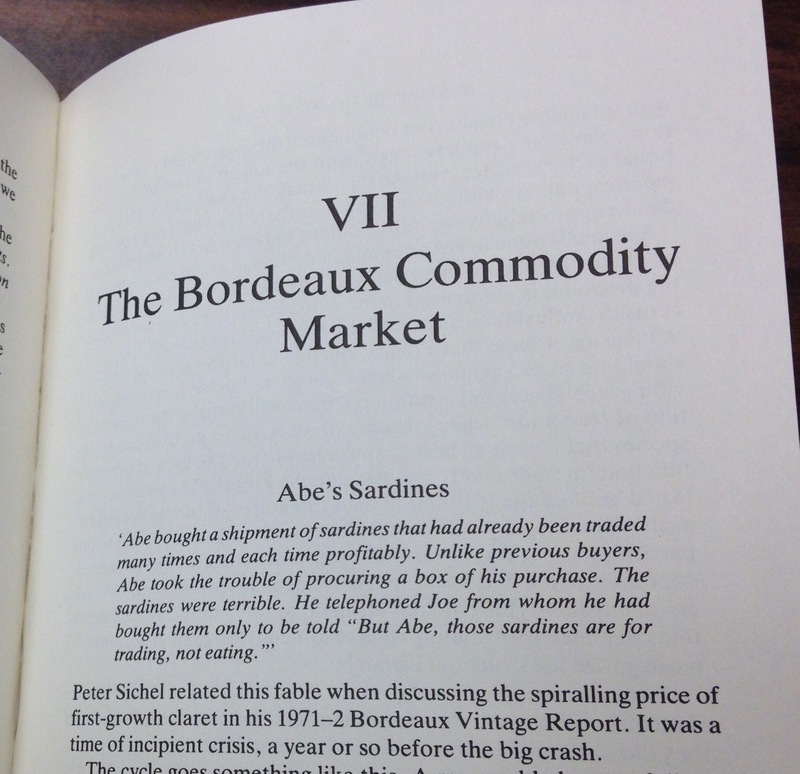 As time passed and review publications began to drive wine sales, some wineries began making wines to appeal to the big name scorer/reviewers such as Robert Parker of the Wine Advocate or James Laube of the Wine Spectator in hopes of getting the big score which in turn allows for higher prices and big sales. Some of these were “Hey, look at me!” wines and others were more of a palate-specific “come hither” in their approach. In either case, they were wines designed more with tasting than drinking in mind. As the cycle fed on itself, the review publications became more and more important and the wineries had to score well or be relegated to the second tier. It was the riper, more manipulated, frankly flashier wines that got the high scores. As all this happened, the idea of the “blue chip” winery or producer followed every year by the drinker/keeper of wine fell from favor. That wine drinker didn’t go away but as new drinkers reaching the point of buying wines to keep, they began buying based on scores (usually given to very young wines often before they were released for sale) rather than a longer term reputation for quality, drinkability and improvement with age. Fairly suddenly, the first impressions of a very few became more important than the longer-term performance or track record. The wineries that most successfully played the game made wines at least in part for this early tasting. Some, even many, of these wines turned out to be balanced enough for longer-term aging in the cellar and subsequent enjoyment at the table – but many did not. Then another odd thing happened. As the scorers and their scores became more popular, the scoring publications began to make more money. At first blush, you might think that the wine review publications are in the business of helping you buy the best wines. In reality, the review publications are in the business of selling their publications. If you subscribe to their publication, they get paid whether you buy good wine, bad wine or no wine. So if the review publications are in the business of selling magazines or newsletters, or web-site subscriptions – in fact are in the publication business, it stands to reason that they will do what it takes to attract more attention to their product and sell more magazines or subscriptions. One way to do that is to always be touting the new or the different. You might think that they would tout the better but the better and even best wines may actually be old news. Saying that they are the best would be accurate but it might not be the best way to sell magazines or newsletters or web-site subscriptions. Creating or hyping fads, one after the other, might be. All of that begs the question – How can a wine be good to taste and not as good to drink, or vice versa? The two things I look for in wines I buy to drink or possibly age and drink are fruit and balance. The fruit flavors from the grapes have to be there and show through. And the wine has to be in balance. And these – fruit and balance – are closely related. The fruit part comes from where and how the grapes (fruit) are farmed and how ripe it is when harvested. Since wine is made from grapes, you’d think the flavor of those grapes would come through in the wine. Ideally that is the case but some grape-growers/winemakers manipulate things. Yields can be either too high or too low and cause the wine to be either dilute or over-concentrated (which puts it out of balance). Or the “winemaking load” can overwhelm and hide the fruit (also putting it out of balance). Winemaking load includes extractive techniques, length of maceration, malo-lactic fermentation, length of aging, type of tank or barrel used for aging, percentage of new oak, oxidative techniques, and more. If the fruit is there, then balance comes into play. Balance has to do with the way the fruit, acidity (both pH and total acidity), alcohol, phenolic content (tannins, anthocyans, flavonoids), and any residual sugar come together and combine with the flavors/components of place and winemaking. The ripeness levels of the grapes directly effect the alcohol and acidity. The riper the grapes, the more alcohol is likely and the lower the total natural acidity and higher the pH. If the alcohol is too high and the acidity is too soft, the wine may taste great early on but it will not have the structure it needs to keep and may, even early on, seem to diminish in quality after more than a few sips. If – in the pursuit of a big mouth feel – there is too much extraction, the phenols can take over and the wine can feel chalky or even gritty. Wines that lack fruit flavors or are out of balance will never come into balance. In fact, as these wines age, their problems usually become more rather than less evident. Sometimes really great balanced wines get the big award or the high score but sometimes it is the over-ripe and over-manipulated that get the acknowledgment. Which brings us back to Abe’s sardines: Some wines are made for tasting, not drinking. How do you know what to buy to keep and age or even what to buy to drink now? Ask someone who’s drinking a lot of wine what they are drinking. If you find that you like the wines they are drinking (as opposed to tasting), they can be a top source of drinking recommendations. As you drink and enjoy more wine, you will find which are or who are the sources of good information and you’ll gradually figure out which producers consistently make wines you like to drink and want to follow. Those wines we used to call blue chips got that reputation for a reason and their quality did not just go away. Often these are still the best, if less fashionable, choices for drinking or keeping and drinking. Sure, wineries and the wines they make do change but the changes for the better or the worse are most often gradual. Two Bordeaux chateaux that have really improved over the last several years are Pontet Canet and Leoville Poyferre. Two that have changed from an elegant to a more extractive style are Pape Clement and Cos d’Estournel. In all four cases, the changes were gradual and cumulative; it did not all happen from one vintage to the next. These all make news but news is different than hype. Don’t succumb to hype. Too many cellars/wine cabinets/storage lockers are filled with too many bottles/cases of wines bought based only on scores (and fads – but that’s another topic for another day). Find people you trust and take their advice. And talk to your friends about what you enjoy drinking (as opposed to tasting). You’ll all benefit.